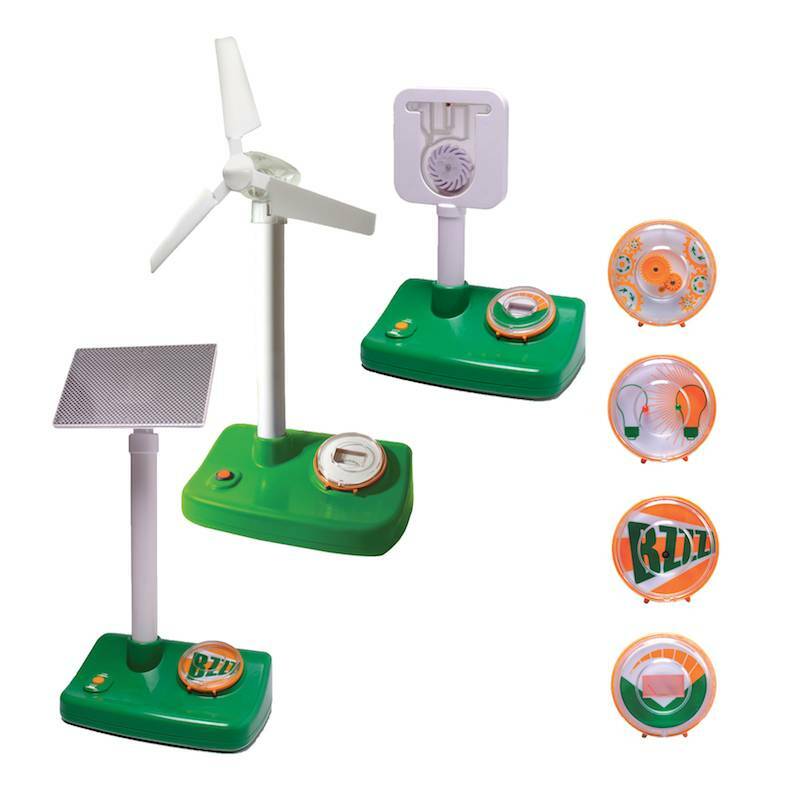 The Renewable Energy Kit is designed to make understanding of renewable and sustainable energy generation an exciting and tactile experience using solar, wind and water power. For indoor or outdoor use, this resource comes in a modular format with 4 interchangeable monitors to show differing outputs from the 3 interchangeable power heads (one base). Designed specifically for the rigors of classroom use, the kit includes suggested activities and general teachers information. Made of high-impact plastic, the base is 7" x 10", the maximum height is 20", monitors are 3½" in diameter and the kit includes 20 feet of clear tubing for the water module.